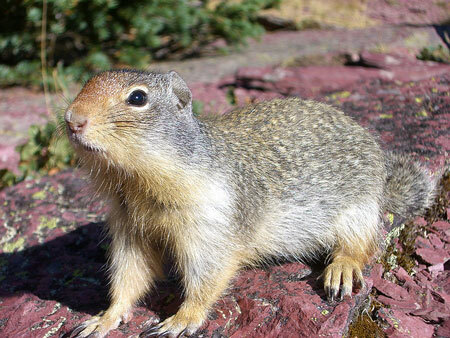 You can literally find ground squirrels all over the world. They encompass all different types of squirrels, from the American red squirrel to the Arctic squirrel to the Mohave ground squirrel. Mind you, these are only three out of very, very many. Naturally, of course, ground squirrels are different from tree squirrels. It is surprisingly easy to see the difference. If you happen to scare a ground squirrel, instead of seeing it jump into a tree, you will see it run to its burrow in the ground that is just one of the many differences between tree squirrels and ground squirrels. In this article we will not only explore some of the differences between ground squirrels and tree squirrels but we will explore the ground squirrel itself and what is so special about this amazing creature! Usually, you will see ground squirrels most active during the day time as they spend a lot of their night under ground, burrowed in their with families. When a ground squirrel digs their burrow, they will make large hills of dirt, almost like a prairie dog yet a little different. Ground squirrels are definitely not one of the favorite squirrels among people as when they are digging their burrows, they tend to make piles of dirt that ruins flowers and plants. Ground squirrels have been known to chew on vines, trees and shrubs that have been in the way of making their burrow. One difference that you may notice between ground squirrels and tree squirrels is the size. Ground squirrels are usually about seven to eight inches long and weight roughly about eight to fourteen ounces. They have four front teeth that they use for cutting and grinding. Ground squirrels are also one of the less picky squirrels and if they can not find the type of food that they like, they will simply switch to a different type of food rather than hunting for the type that they like best. Grasses, seeds, grains and nuts are all part of a ground squirrels diet and they are definitely one of the squirrels that will stock away a bunch of food in their burrow for a long period of time. Ground squirrels do hibernate, but instead of making a nest in a tree somewhere, a ground squirrel will simply go into their den underground and hibernate for five to six months out of the year. 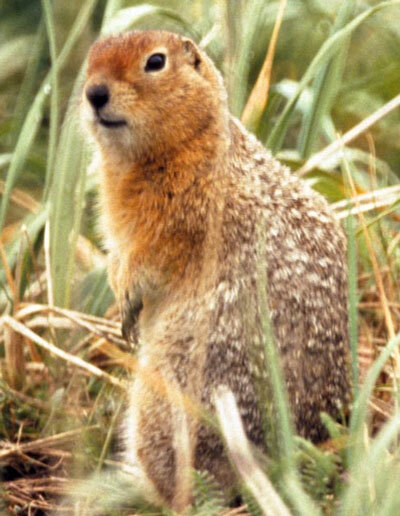 If the ground squirrel is in a state or country where the winters simply do not get cold enough, the squirrel will not hibernate and instead will just collect food and live off of that for the entire winter, while still being awake and constantly on the hunt for more food.